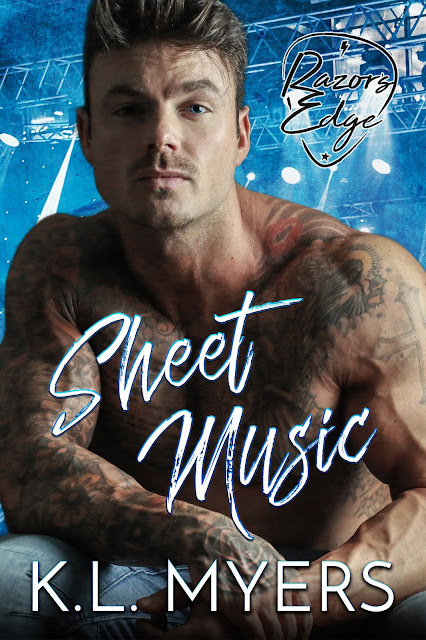 We are very excited to reveal today the stunning cover of SHEET MUSIC, Razor's Edge #1 by K.L. Myers! KL Myers was born an Air Force "brat" in West Berlin, Germany moving with her family from Germany to Colorado to "hell", aka Arizona where she resides with her husband David & their fur babies (3 cats & a dog). They have 2 grown daughters & 3 grandchildren. KL has a passion for collecting PEZ dispensers & hot romance. 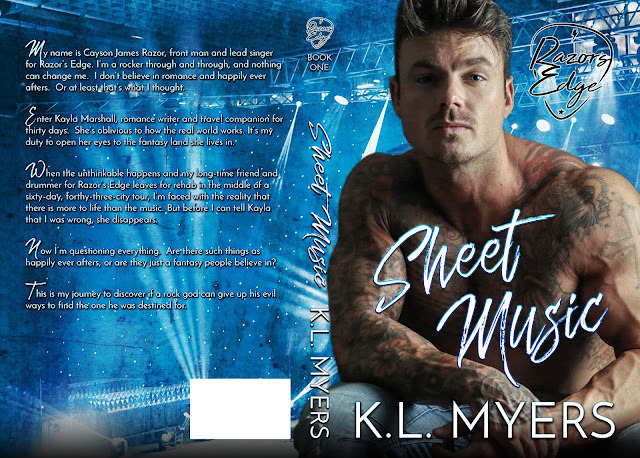 When she isn't juggling family & a full-time executive job, KL indulges her other passion- writing. Her books & novellas show a pension for a bad boy with a heart of gold. Coupling her bad boys with strong, independent women who don't need rescuing, just maybe a taste of naughty redemption! Her characters will pull you in & leave you satiated, yet panting for more, More, MORE!